Anyone else having trouble swallowing that it is already August? Maybe it is just me but it seems like twenty-eleven is passing by at the speed of light. Anyways, when I was looking over food magazines for this MOM (magazine of the month) feature, the Food Network Magazine was one that I wanted to check out. As much as I love my daily dose of the Food Network channel I was skeptical of a magazine. I mean they have a pretty in depth website, what else could this network put in ‘writing’ that wasn’t already covered on TV? But I should know never to doubt the all mighty Food Network! This magazine is great! It has everything from the channel and website, plus more, all bottled up in one convent magazine. Almost every single recipe in this magazine has a color photo to accompany it! Prep Time, Cooking Time, and Number of Servings listed: Yes! The FN magazine lists Active Time, Total Time, and servings. Like the FN TV channel, all of the recipes in the magazine range from extremely easy to more difficult/advance. All of the magazines I have reviewed so far are loaded with a variety of recipes. This is one major plus about purchasing magazine subscriptions is the variety of recipes. Like the FN channel the recipes are anywhere from $10 dollar budget dinners to fancier more complex meals with high end ingredients. Every edition of this magazine has a ’50 recipe’ section. 50 different condiments. 50 different recipes using pesto. 50 different smoothie recipes. These are usually simple recipes but it is great to see different twists on different ingredients. Also the recipe index is not only a photo index but also has the recipes categorized by your favorite Food Network chefs! So in case you missed them, here are the recipes I featured. If you have never tried sweet potato fries, you are REALLY missing out! 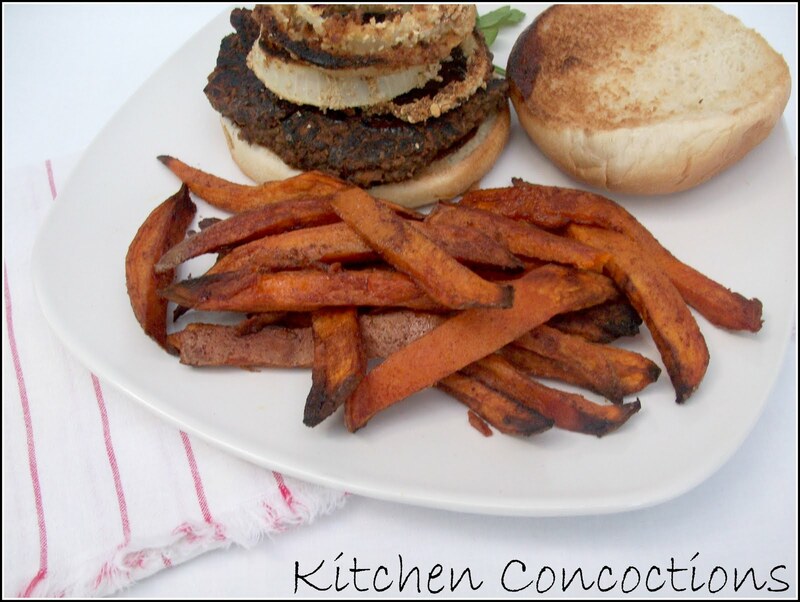 I love this spicy version take on sweet potato fries. 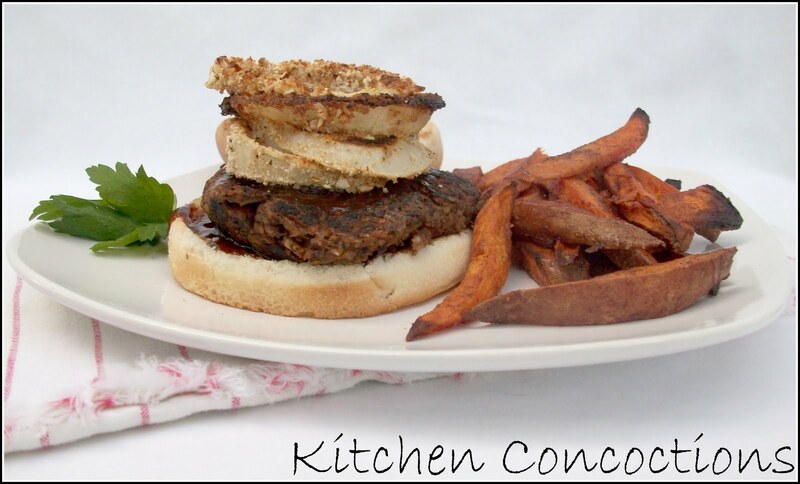 I have been trying to eat meat free at least one day a week, and I was presently surprised that these veggie burgers had wonderful flavor and great texture. I will be making them for many more Meatless Mondays to come! 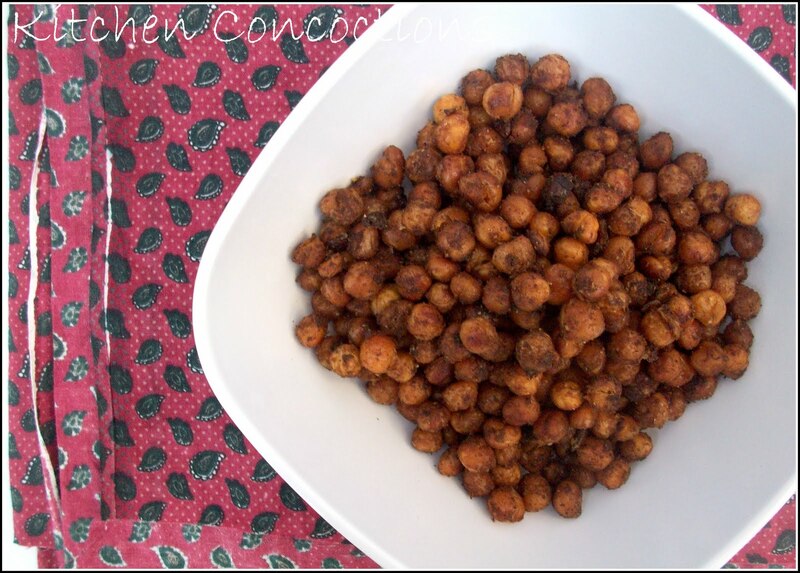 Snack time is a crucial time of day for me and these Crunchy Chickpeas are a perfectly filling and tasty snack option, especially if you are on the go! I love how my version of this Summer Pesto Pasta turned out. 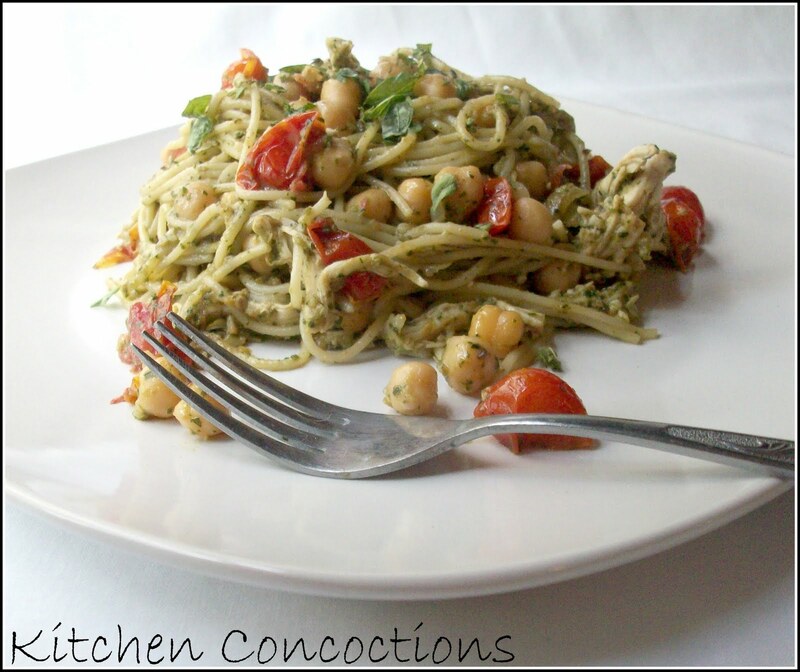 Classic pesto, plump grape tomatoes, tender chicken and the unique addition of chickpeas tops this dish right off! « Pump up the Pesto! 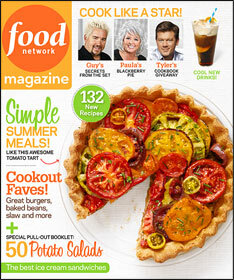 I used to subscribe to Food Network Magazine, but I let my subscription lapse. I'm kinda regretting that now! !